Look overhead, above Paul Nusbaum’s bridge over the quarry channel. Do you see who’s watching? The humidity today says it is summer in Northwest Ohio. The calendar says it’s spring. 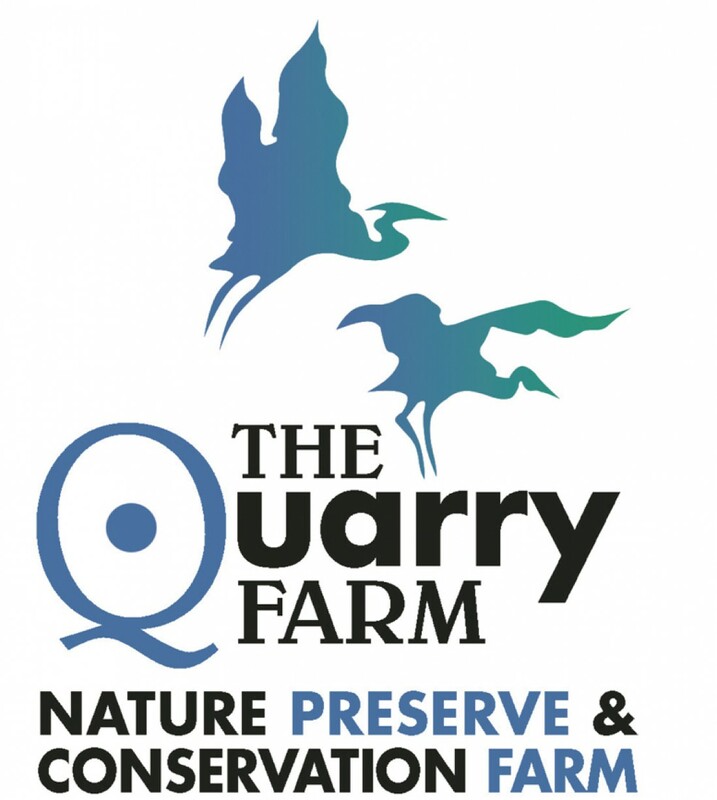 We’ll go with the weather and release the Summer 2018 issue of The Quarry Farm Newsletter. Click on the cover to the right for your copy. There is only so much information that can be included in an 11″ x 17″ newsletter. There For instance, on the first weekend in May, we drove across five states to Save-a-Fox Rescue to meet a potential education ambassador . Google Maps advised us to travel south to U.S. Route 30 to begin our Northwest journey. That didn’t make sense, so we took SR 15 North. We saw flat land bisected by rivers flowing into unglaciated parts of Williams County. Westbound Indiana was a I-80/90. Enough said. I slept through most of Illinois, but Steve regaled quotes from billboards, including one promising “All the Liquor…None of the Clothes.” We stopped at the Belvidere Oasis, a six-lane-spanning travel plaza on a stretch of 1-90 dubbed the Jane Addams Memorial Tollway, east of Rockford Mile Marker 54.5. We planned on buying bagels. Instead, we pounced on a food kiosk selling cucumber salads and falafel. Aside from the usual food chains, Mom-and-Pop vendors were hawking jewelry and fudge. My ears popped as we climbed out of the Mississippi River Valley and rolled through greening hills and fjords toward Rice County, Minnesota. On the evening of May 4, we arrived at the place where silver, red, and roan foxes roost in trees rather than in the cramped, fur farm cages. Alexis at Save-a-Fox describes foxes as “those mythical creatures you read about in middle school.” We are learning just so from Quinn, the vulpine ambassador who made the return trek to Ohio.